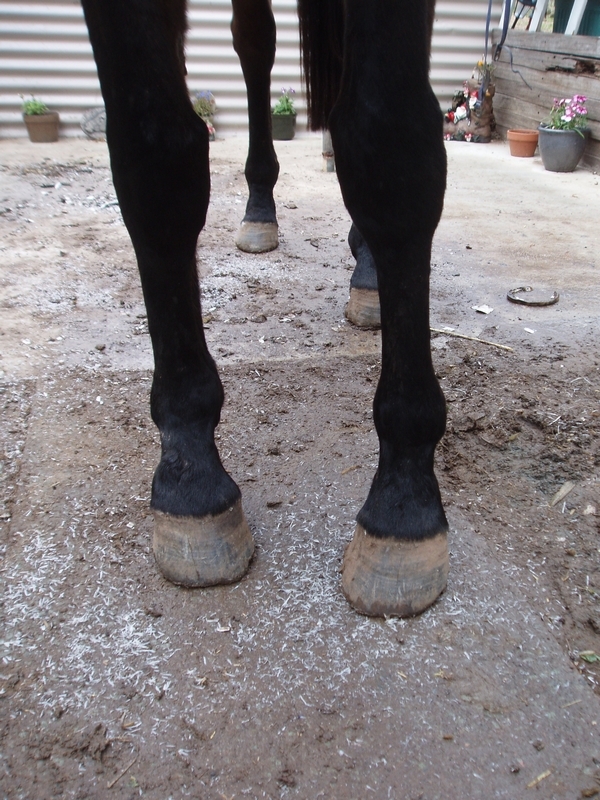 FLARES IN THE HORSE’S HOOF – NORMAL OR NATURAL? 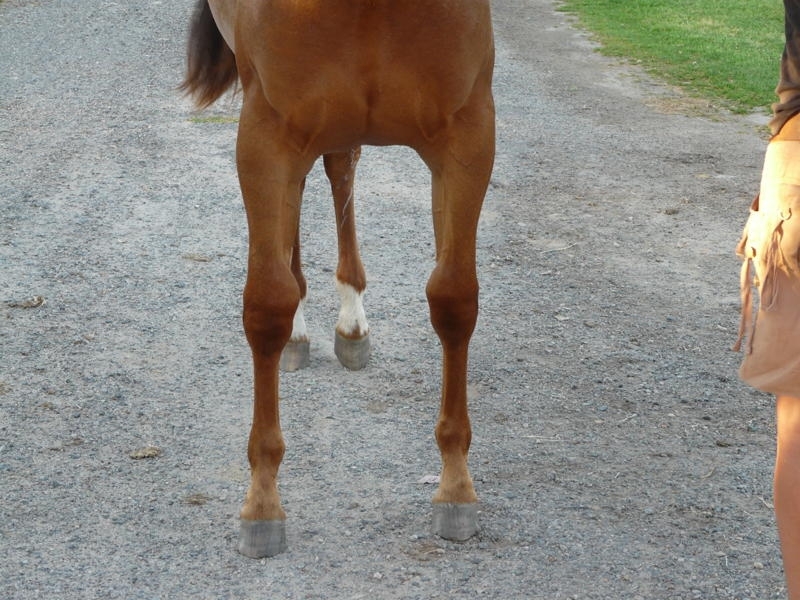 There is no such thing as a ‘Normal Flare’ or a ‘Natural Flare’ in any horse’s hoof. Making a statement like that in public in this 21st century will provoke a predictable reaction, which it is meant to do because only then can we begin to examine that statement. The first step is to understand what a flare is: a flare exists when any part of the ground-contacting edge of the hoof wall becomes long and bends out of shape compared to the normal shape of the correct coronary band shape. The pedal bone shape imitates the white line shape and they both imitate the coronary band shape to give the horse its normal natural hoof shape. The second thing to understand is what causes a hoof to bend out of shape and become flared: It is directly related to leg alignment and is common to most horses (Pic 1). There are very few horses without some degree of error from the knee down; as a working farrier I might see only one horse with perfect conformation in the space of a whole weeks work. The reality is that very few horse owners will accept the fact that their horse has any alignment issues in the leg bones, and tend to prefer to put any problems down to the inadequacies of bad hoof care providers, often quite incorrectly. When we look at a normal straight fore leg (Pic 2) the top of the cannon bone is set in the centre under the knee joint, and looking down the leg we see that the pastern is set in the centre of the fetlock joint and is in a straight line with the cannon bone; as a result of all this the hoof will be an equal normal shape around the pedal bone, and so requires very little corrective maintenance to remain balanced. If the cannon bone is positioned to the inside (or the outside) under the knee joint, the pedal bone will be in line with the centre of the bottom of the forearm (nature’s compensation) causing the hoof to stand toed out or splayed out, and flared to the outside (OR toed in or pigeon toed and flared to the inside). 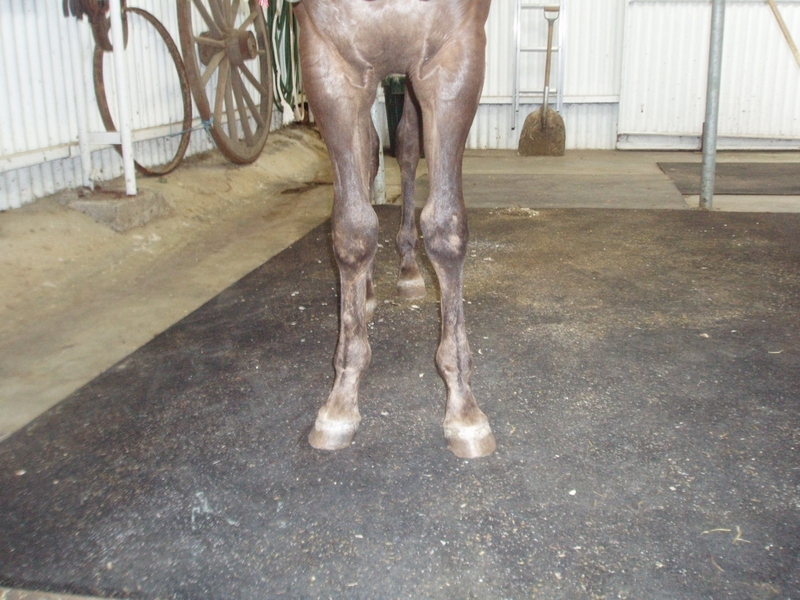 This toed out stance is more common to the narrow chested horse (Pic 3). Thus the FLARE is the EFFECT of a conformation issue and needs good management to keep it under control. It may seem like splitting hairs, but flares have no place in the horse’s hoof for any reason. I am not suggesting that horses with offset cannon bones or deviated pasterns are going to be lame or unfit for work or competition, but they will certainly need a higher degree of hoof care and it must be done regularly. Regardless of which way the hoof capsule is flaring towards, the heels must be kept level and form a T-square or be perpendicular with a straight line down the back of the pastern. Then correct the flare to the inside or outside of the hoof to achieve a normal shape. The flares which occur as a result of leg bone misalignment can be easily controlled, as long as we have an understanding of what they are being caused from, and as long as we realise that they will always be reoccurring. Early assessment of the foals’ legs is by far most important course of action, as a lot of deviated leg issues can be corrected at that stage. WHAT SHOULD WE PAY FOR EGO? ZERO! WHERE HAVE ALL THE FARRIERS GONE? DOES THE HOOF SUIT THE EVENT? THE NATURAL HOOF SHAPE and ‘RIGHT HANDED DISEASE’.